I will never forget my second year as a teacher when a student asked: “Who is George Brett?” …in reference to a signed photograph on my wall. So, mark 1992 as the first time I was blown away by the fact that my students were in some ways “not from my world.” At the time, just two years removed from his third of three batting titles, I thought I had just experienced a travesty of justice. I can drop a name here because I have cool kids who are quite open to learning. So on Friday, when Chris asked, “where are the seeds in an orange?,” I was at first taken aback. However, it didn’t take long to snap my brain back to the reality that today’s students do not come equipped with our experiences. For those of you who have yet to an experience such a moment: it is coming. Honestly, the sooner, the better. Perhaps the biggest mistake we can make as educators is to assume that our students have background knowledge and experiences anywhere in the neighborhood of ours. This post -really- could go anywhere from here. However, it is late and today I choose to cut to the chase and deliver the succinct message. Chris thought oranges didn’t contain seeds. Chris -and a ton of the kids in that class- had never seen an orange (or any other citrus fruit for that matter) with seeds. As much as I think I know- this hit me upside the head. He said never. They said never. It seems that the preponderance of seedless fruits has all but overtaken the market since I last checked. Who knows- perhaps I just haven’t noticed because I understand how plants are born. For the moment: forget that “oranges” are fruits. Forget that “fruits” are swollen ovaries that protect and deliver the next generation in the form of seeds. Forget that seeds are structures that deliver the next generation unto the world. Do remember that this kid… and probably 70% of his classmates report that they have never seen… never seen seeds within an orange. So, though most of you reading this may be surprised, most Americans the age of our students are so distanced from the food they ingest, that it is: you pick the astonished noun. As a longtime instructor of a high school level botany class, I have seen this one coming. Still, it smacked me in the face. These were some of our best, brightest and most observant students, and they were clueless as to the origin of those orange-colored orbs of goodness. This post is about detachment. Though a detachment that has little to do with technology as it related to information and communications technology (of which I so often write). This has more to do with botanical knowledge, selective breeding technology, and just technology of planet Earth combined. The bottom line? Our kids are distanced from the natural world we (most of us reading this) grew up in. 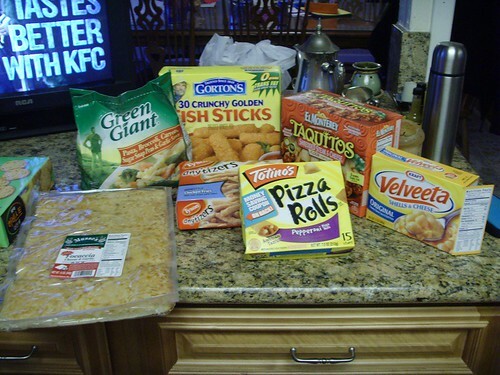 This is perhaps the first generation of children that are so distanced from the food they consume. Our kids think their food comes from an aisle in the local HyVee… or perhaps a Price Chopper. How do we fix this shortcoming? Fellow science blogger (if I can lift myself to this level), Michael Doyle suggests this lesson plan that will likely never be delivered. I agree. However, it would likely do tons of good in the year 2008 for many many reasons. I will never forget sitting in for an address by Richard Louv at the 2007 NSTA in St. Louis. What is funny is that my wife (also a biology teacher) purchased a copy of Louv’s Last Child In the Woods earlier that same day without realizing it. In this book, Louv proposes the idea of nature deficit disorder. In extreme summary, Louv proposes that we are the first species that has raised its young almost totally dismissed from nature. By this generation, at least. Kids don’t venture outdoors. Kids don’t play away from their parents. Kids don’t know anyone… or currently have relation that still farm… anything. His keynote that day can still be found on video here. The quest for calories is equal to a walk down the aisle of the local grocery superstore. The living organisms that gave their lives to nourish us are so far removed that we are clueless as to their connections to our daily lives. For the first time, instead of battling through boredom by lying still beneath a neighborhood tree and staring up to watch the leaves blow in the wind, we plug up the Xbox and be-still their brains. I am a huge proponent of technology as a positive force in the lives of our kids. This, however, is a different story. In teaching biochemistry and it’s relation to human nutrition in my Dual-Credit Biology class, I have learned where to focus the future springtime explorations into ecology. Our kids are the leaders of our brave new world. They are also the first who are so drastically distanced from the planet which nurtures us all, and are the ones who will make all future environmental decisions. 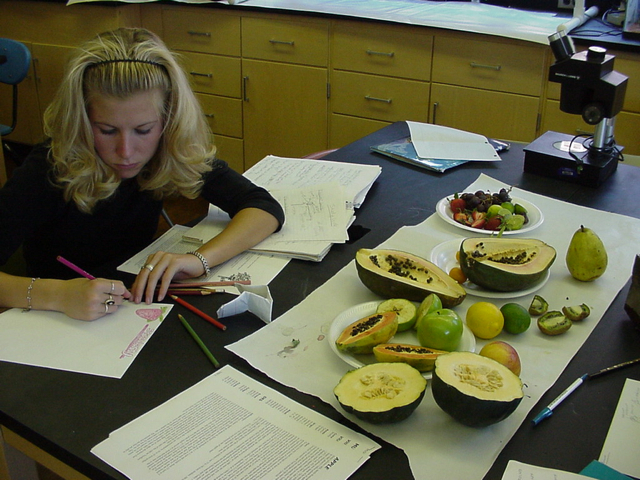 Our botany class did not “make” for the second year in a row due to an NCLB focus on “basics”. My previous botany students are urban kids who at least get the basics. What are the basics? What should we teach? Do we face a “brave new world” unprepared? Yikes. Where are the seeds in an orange? And in a really odd conclusion… and to answer Dembo’s question… Why do I blog? It is actually quite simple. For synthesis. I read things from talented and amazing people. I work with amazing kids. I have seen amazing things. I put them together. I blog. Weil, Gyorgy. 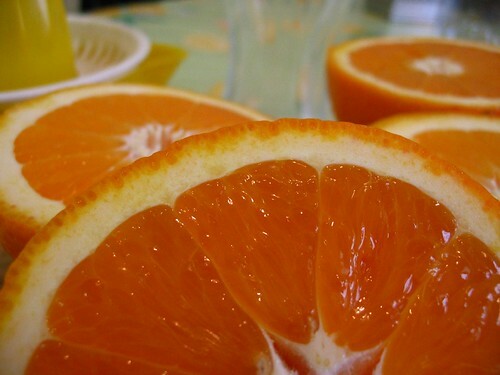 “wguri’s photostream.” oranges. 17 MAY 2007. Flickr. 24 Nov 2008 <http://www.flickr.com/photos/wgyuri/501884430/>. Duke, Jenifer. “dukeofnyc’s photostream.” Processed Food Night. 12 MAY 2008. Flickr. 24 Nov 2008 <http://www.flickr.com/photos/dukeofnyc/2487805379/>. Sean, the thing I kept noticing in this post was the passive voice when addressing the divorce of youth and nature. There are agents that have caused it, aren’t there? Businesspeople, marketers? I’ve got a flu, so I have to stop there. Sludge-brained today. Great post, Sean, and a wonderful question from Chris. I may take kids on an official school trip fishing this spring. Lots of things to iron out–cost, flying hooks near eyeballs (if we did this in class, we’d wear safety goggles and gloves), and the Lord of the Flies mentality of 14 years old children (“Yeah, we’re gonna KILL! woot wooot!”), but I work with an incredibly supportive supervisor who understands why a trip like this might work. More thoughts coming–I got to polish up some seedless lessons. Wow, great post! Considering I have an almost 2 year old at home, it really makes me think about what he has and will experience outside the safety of his home and classroom. Suddenly the annual camping trip doesn’t quite seem so optional. @Clay – Interesting observation on passive voice. You know, I actually fight that at times. Sometimes I do that without even trying. I am sure it is a vestige of scientific manuscript writing. At least I don’t tend to write in third person, eh? In reference to your real question, you know, I’m not sure how I see that really. I guess I have never tried to pin it on specific folks. To me, we are all nearly equally guilty of this. I would certainly love to stick it on something easy, but there are times I think even our rushed 2008 pace of life dictates that we take less time to literally… play in the woods. Read Louv’s book. One of the best reads I have had int he past two years. I think even the suggestion of playing in the woods calms my nerves. @Michael – Ahhh yes. Fantastic idea really. One thing I certainly DO have is a supportive administration in my building. In fact, just the conversation over this at home this morning makes me think that my wife will try to engineer a similar trip for her zoology students this spring. Sometimes I forget to think of things so simple. I forget to think of all of the things I learned back then just being side by side with smart, open-minded adults. @Steve – Thanks muchly. You and I both have a near two year old at home then. In fact, we have a second little girlie on the way any day now. Pretty exciting stuff. I know what you mean here… as a career educator at the secondary level, I can say that parenting has opened my eyes in many ways. Watching the way Delaney takes to bugs in the yard, kisses worms straight from soil, and plays with every errant dandelion head she sees, it is clear to me that if she becomes divorced from nature… it is largely my fault. How in blazes do you have time to do everything you do AND blog with a tadpole in the home? I don’t want to wrest this away from the main theme, but Clay lays out an interesting accusation. (Pointing out someone’s passive voice is fightin’ words, but I know your brain’s fighting a viral storm at the moment.) Who’s responsible? I’ll agree with Clay that the culture feeds the disease here. I’ll even agree it’s based on money. Heck, I’m knitting a goldfoil hat. Still, and it’s a big “still”–we need to toss our children into the ocean. We need to trust our own voices. We need to stop seeing camping as an annual event and focus on what matters. Camping in your backyard, in your local park, in a vacant lot–all contribute to outdoor sense. I am a big fan of Wendell Berry, and I’d bet half my worthwhile thoughts were stolen from him. He is a Methodist, I used to be, and we’re both stubborn enough to resist scrubbing away the worldview that got us here. I like to read by my outside puddle–there’s a nice white birch tree shading the pond in summer, a pirate ship on its edge, and I have a wrought iron fish staring at me as I ponder there. I also read there. Which (ahem) gets me to the point–yes, others have tried to capture our minds, and have often succeeded. We are mesmerized by those who have already sold their souls. Far as I know, though, cabbage moths stil have a good grip on their souls. Yes, their are agents that have caused this. But it is our own passivity that made them effective. This was a great post Sean, AND, perhaps more importantly, has generated excellent discourse. Louv does build an amazing argument in his book – one so powerful that, after reading it, I vowed not to fall prey to the fear-mongering of our culture…yes, Delaney should go explore the “woods” behind our home, by herself even, and no, she probably won’t get abducted. I also connect to The Omnivore’s Dilemma here – if students are this removed from plants – how severed are they from the meat they consume? There IS an inherent disconnect in eating something coined “beef” and ground into “hamburger” rather than corn-fed moo-cow. @Michael – It is nice to read someone else’s thoughts, and to realize they are able to state what you believe in an absolutely beautiful way. We SHOULD throw our children in the ocean – Sean and I plan on it as soon as Delaney can safely swim. Walking in the snow on a crisp winter evening, viewing the stars through the fog of my breath…..
Running down a country road by myself, stopping, and just staring at fields of green that stretch for miles and miles….these are the times I have experienced spirituality. Isn’t it a crime if my child isn’t exposed to these types of experiences? At 22 months, I am so thankful that she cries if her hopes of going outside are dashed by the dark or the cold. and to bring the natural world to my Biology students every chance I get. I recently heard about something similar to this when someone came to my class to give a presentation about agriculture. She gave us some examples of how when she asked students about where food came from, their answers would leave them to conclusions that most would think obvious but were not for them. The fact that milk comes from a cow, not just from the store, blows some of their minds. It is interesting to see what their misconceptions are and how we could possibly combat that.